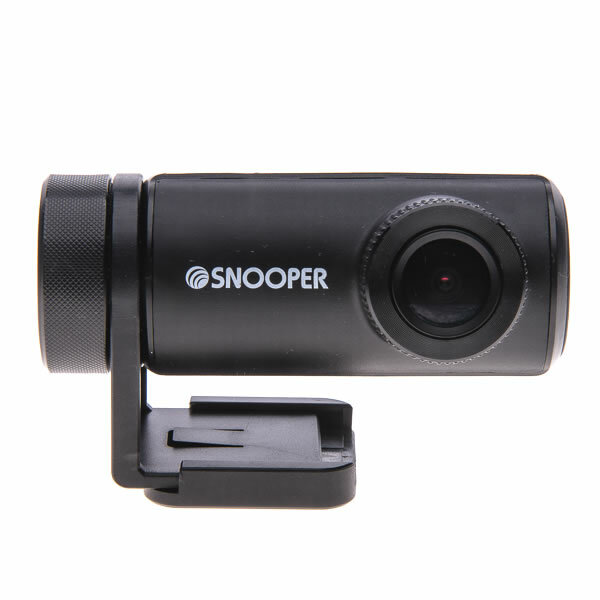 Snooper DVR-WF1 is a dash cam that records in 1080p HD quality. In the box you get the DVR-WF1 dash cam, external GPS antenna and 8GB microSD card. 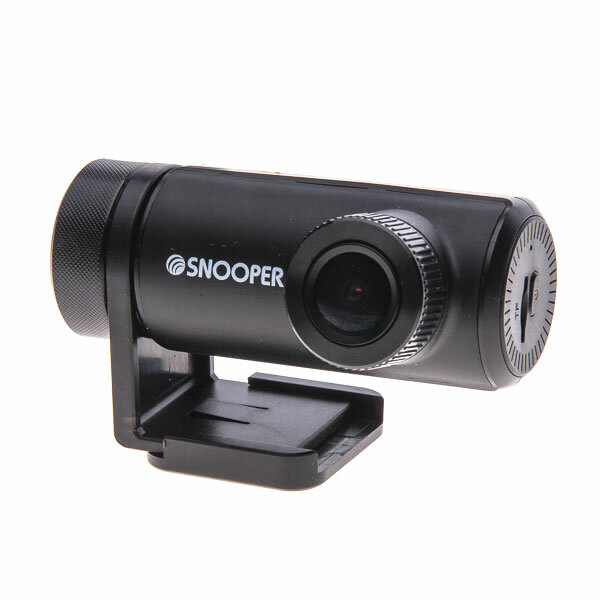 Recordings are made with a 150 degree viewing angle and playback is possible on your smartphone using the WiFi capabilities of the snooper dashboard camera.You will need to download the Snooper App to download video(s). The App is also used to control the camera settings. When using the Snooper DVR-WF1 you will get up to 15% discount on new insurance premiums purchased through Adrian Flux Insurance (largest specialist motor insurance broker). The Snooper DVR-WF1 is a dashboard which is very discreet to install with dimensions 34mm x 86mm x 50mm. 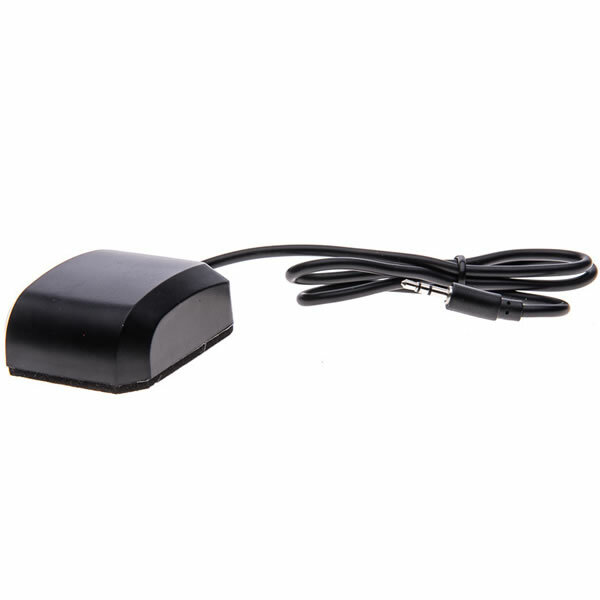 In the box you also get external GPS antenna that plugs directly into the DVR-WF1 and also an 8GB microSD card for storing recorded video to (you can optionally use an alternative microSD card up to 32GB microSD card). Recordings are made with high-quality, high-definition, 1920 x 1080p resolution. Furthermore you get a wide viewing angle of 150 degrees and the mount rotates 360 degrees to allow you to achieve the best angle when setting up the recording angle. There is a Free WiFi app to download and this is used for 2 reasons. Firstly, you can control the camera settings using the app. Secondly you can download videos via WiFi and playback on a compatible smartphone. There is a internal lithium battery for power without having to plug into a power source. Furthermore the Snooper DVR-WF1 will automatically switch on when you turn on the vehicle ignition. 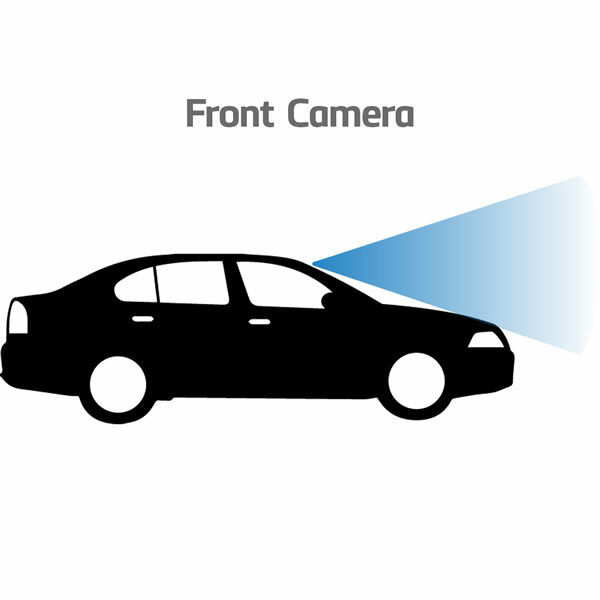 The DVR-WF1 includes parking mode for recording when motion is detected to protect your vehicle when parked. The power can be provided by the built-in lithium battery. A built-in microphone also records sound such as your commentary. When purchasing and using the Snooper DVR-WF1, you can get up to 15% discount on new insurance premiums purchased through Adrian Flux Insurance (largest specialist motor insurance broker). 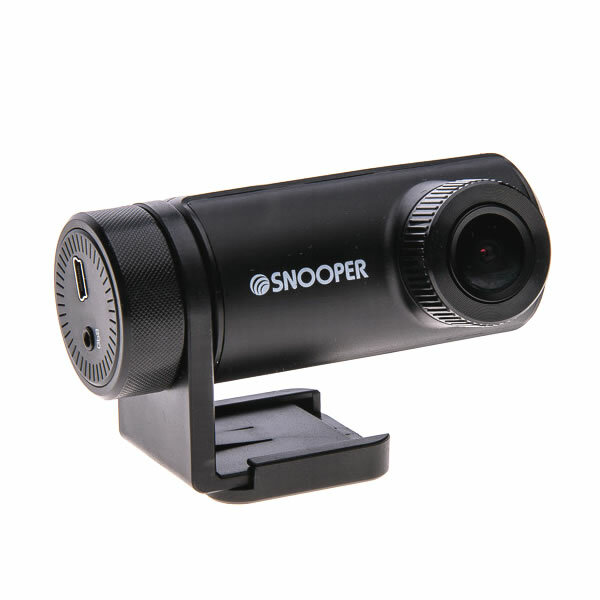 Do you have a question about the Snooper DVR-WF1 that's not been answered on this webpage? Please see our Dash Cam FAQ's for questions from other people. If the answer to your question isn't featured, use the online form to ask us for the answer. Alternatively please telephone 01733 777623 Monday to Friday (9:30am-5:00pm) to speak to one of our sales team. 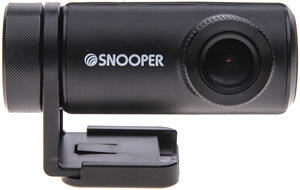 For further information online please see the Snooper dash cam comparison table. You can locate the Snooper DVR-WF1 discreetly on the windscreen using the included windscreen mount, which also helps to ensure the highest quality recordings and does not obstruct your view of the road ahead. The mount rotates 360 degrees to offer a choice of recording direction for setup. You can use the included car charger to power the in car camera device. Alternatively there is a internal battery. There is an 8GB microSD card in the box. Alternatively you can buy a microSD card separately (comptible up to 32GB microSD). 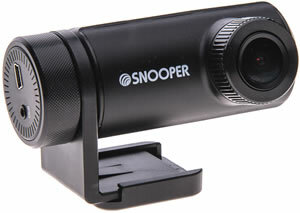 The Snooper DVR-WF1 includes free speed cameras.